Garry Monk made two changes to the side that drew 3-3 at Swansea on Tuesday night. Harding replaced the suspended Pedersen and Craig Gardner made way for Gary Gardner. Both teams started the game on the front foot and the first chance of the match came after just 30 seconds. Harding’s delightful cross was headed over the bar from close range by Jutkiewicz. It was a chance that the big striker may have felt he should’ve done better with. However Forest and, in particular Guedioura, began to up the tempo with the influential Algerian going close twice only to be denied by Camp. The warning signs were there for blues and they were almost made to pay. Joe Lolley cut inside the box onto his left foot and his drilled shot smashed off the post and was tipped away by Camp. Lolley was desperately unlucky there and he would be left to rue this missed opportunity almost instantly. It was a scintillating move in the 13th minute by Blues which opened the scoring. Kieftenbeld, who was immense in the middle of the park today, headed the ball onto Gardner. Gardener then hooked the ball forward to Adams who flicked it onto Jutkiewicz. Jutkewitcz did fantastic to cushion his header into the path of Jota who was advancing into the Forest penalty area. The rest was all about Jota. The silky Spaniard’s first touch was to flick the ball over Janko’s head and then he calmly volleyed the ball past Pantilimon it’s his second to make it 1-0 Blues. From then on, the home side completely dominated the game. Jutkiewicz again terrorised the Forest defence and his knock down to Jota almost resulted in a second. Jota’s well struck volley dipping just wide of the top corner. Jutkiewicz, so often the provider, then had a big chance to make it 2-0. Adams managed to nudge Benalouane off the ball and allow space for Jutkiewicz to have a strike on goal. However, his low driven effort was tipped behind the post by Pantilimon. The last real talking point of the half came right on the stroke of half time. Adams appeared to be pushed in the back by Benalouane right in front of both the referee and the linesman. However, much to the dismay of the Blues players and fans, the referee waved play on. It was a two handed shove by the Tunisian defender and he was lucky to get away with it. With Forest being so toothless in the first half, their second half display needed to be so much better and once again they came out of the traps the quicker of the two sides. Guediora, a fine striker of the ball, again tested Camp with a curling effort. The Birmingham goal keeper, however, was more than equal to it. Forest kept on coming at Blues and almost drew level moments later. Cash timed his run brilliantly and was played in down the left hand side. With Murphy waiting in the middle, Cash flashed the ball across goal. It looked as if Murphy would just tap it home, however, Colin did brilliantly to get in front of the Forest number nine and clear the ball to safety. Jota was having one of his best games for Blues since joining in August 2017. The diminutive winger played a lovely one two with Adams and drove towards the Forest goal. Jota then checked onto his left foot and saw his curling effort comfortably saved by Pantilimon. Forest were beginning to up the tempo and with the introduction of Bonatini and Grabban were beginning to ask serious questions of the Blues defence. Osborn, who had a very good game, fed the ball into the path of Grabban. The ex-villa forward tried to slip Bonatini in on goal, however, his pass was deflected and looped fortuitously to Lolley who’s improvised Volley from close range was well saved by Camp. Martin O’Neill’s side kept attacking and with less than five minutes of normal time left to play almost snatched an equaliser. Carvalho’s fantastic flick round the corner to Lolley started the move. Lolley twisted and turned in the area and provided a deep cross into the box. The ball came to Bonatini who’s first time volley was deflected inches wide of the goal. The Brazilian was so close to drawing the score level on his debut. Just like the first half, however, Forest were made to pay for their missed opportunities. 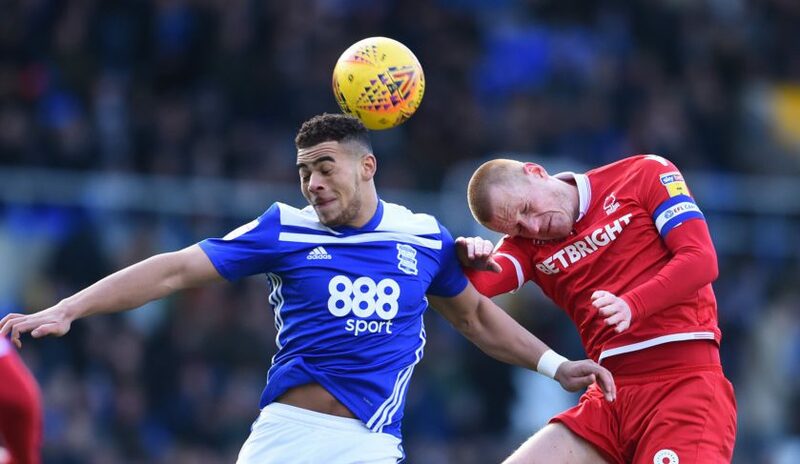 The introduction of Vassell was a master stroke by Garry Monk and it was his driving run into the box which contributed to blues receiving a penalty in injury time. Vassell burst past Robinson and managed to square the ball to Adams. Adams shot was clearly handled on the line by Benalouane and the referee had no choice but to point to the penalty spot and give Benalouane his marching orders for denying a clear goal scoring opportunity. Adams took the penalty and calmly sent Pantilimon the wrong way to make it 2-0 and wrap up all three point for Birmingham. Blues produced a fantastic performance and result to record their first win in 2019. 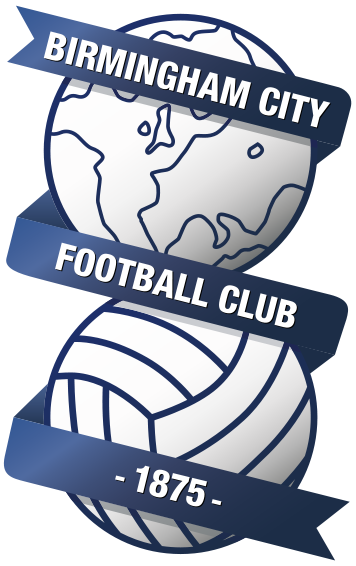 Harlee Dean, Mikael Kieftenbeld and Lukas Jutkiewicz all produced man of the match displays to help blues on their way to a convincing win. The result moves Birmingham into 8th place, 4 points off the play offs and, as expected, one place above the small team in Aston. Camp, Harding, Dean, Morrison (C), Colin, Maghoma (Mrabti 81), G Gardner, Kieftenbeld, Jota (C Gardener 85), Adams, Jutkiewicz (Vassell 78). Pantilimon, Janko, Benalouane, Milosevic (Grabban 60), Robinson, Watson (C), Cash, Guedioura (Carvalho 72), Osborn, Lolley, Murphy (Bonatini 60).